From 2020, European carmakers MUST comply with stricter EU regulations. On average, only 95 grams of CO2 emissions per kilometer drove are permitted per car produced. If the output is higher than that, there will be drastic fines due. The leader seems to be BMW. I bought an I8 myself which is a hybrid so it has also a gas engine in the rear but electric in the front. You really can’t beat electric for speed off the line. It will really pin you back in the seat. I must say, being a sports car advocate, it is one of the best cars I have ever owned and a love it. (I do not own BMW stock). Nevertheless, German companies are finding these requirements are unreasonable to meet 95 grams of CO2 emissions. That means the consumption of fuel must be around four liters per 100 kilometers. That is a very major objective imposed by this theory of Global Warming. 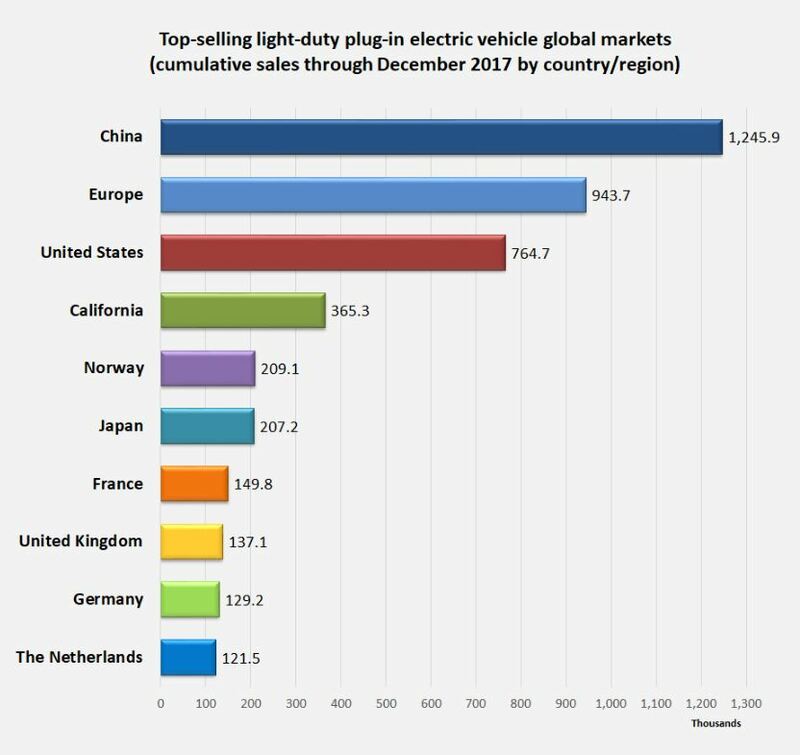 The market for electric cars is really confined to Europe for regulation purposes, but the number one market is China where electricity prices are the lowest. There are no combustion cars that comply with the European standard. German carmakers to produce sedans, but they cannot avoid building cars that consume more than four liters of fuel on average and therefore they cannot meet these higher CO2 emissions standards of 95 grams per kilometer. Clearly, European car manufacturers have no choice but to produce electric cars. The fine per car that does not meet the standard will be around 13,o00 to 11,000 euros. Every German car maker will face hundreds of millions of euros in fines. The problem that the government has completely FAILED to take into consideration is the availability of electricity to fuel cars. Many are starting to look at the problem that even assuming cars can be plugged in, the demand for electricity may exceed the capacity to produce it. The installation of an electric power station at every parking lot will be expensive, to begin with. However, if every car is plugged into the power grid, then the concern becomes will we simply shift the CO2 emissions from cars to power plants? The only way to avoid that is to create more nuclear power plants, and then we have many environmentalists objecting to that solution. Of course, the world can go back to bicycles. Amsterdam has so many people commuting on bikes, it is astonishing. There are parking garages at the train station where people leave their bikes overnight and commute home by train. 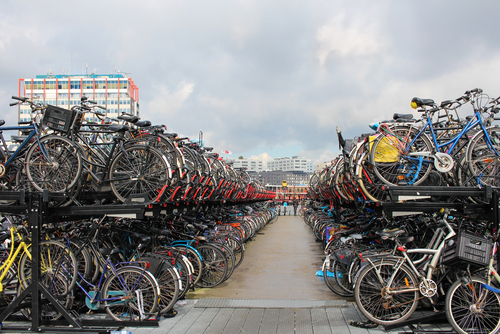 Here is a picture of a parking lot for bikes in Amsterdam. You will never see this anywhere else. Of course, back in the 1980s to early 1990s, there were still more bikes on the road in Beijing than there were cars. That has now changed dramatically as well. Bikes are certainly a solution, but it has its limitations for age and disabilities. Then there is weather as well, which conspires against the commuter using bikes. « Is This the World’s Largest Robot?